Carpet cleaning Cardiff, professional cleaners in Cardiff and area | make it easy and friendly to the customer | leave cleaning of your home to us | most cost effective carpet and upholster cleaners in Cardiff. 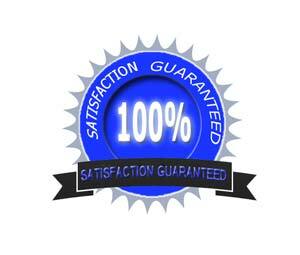 Most important part of our business is satisfaction of our customers, we work in carpet cleaning services. That is why we appreciate your testimonials, furthermore we are going to be serving commercial customers in near future. I honestly couldn't believe that my lounge carpet could look as clean and new after my wild birthday party with wine stains everywhere. I was surprised when the cleaning was done to see that there were no stains and that it smelt lovely. Thank you DM carpet clean! I will recommend you to all my friends because you are reliable, friendly and reasonable. I have been very satisfied with job that was conducted by DMcarpetclean company on my three bedroom house. DMcarpetclean were very professional with its' services, I will most certainly recommend them to my friends. I had no idea that they will be able to get my carpet to its' original looks. After I got new dog my carpet seems to gather a lot of dirt, that is when DMcarpetclean came with great help and professionalism. Darius has just cleaned my livingroom plus 2 bedrooms and a very large rug all for £55. Having 2 year old twin boys plus 2 dogs you can imagine what my beige carpets were starting to look like. All stains removed look like new again. Re booked him for xmad week. Excellent professional service, very polite and friendly. Cannot recommend enough. Tracey- Rhiwbina.